Yes, Triazicide will kill adult fleas and flea larvae outdoors only. 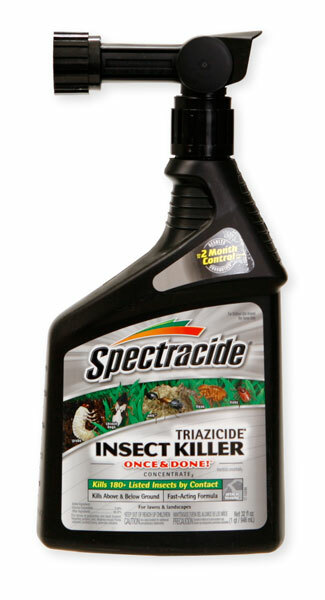 It is a very broad spectrum insecticide designed to kill a wide variety of insects. FYI - Triazicide is not considered professional use, and is strictly a retail product. It is probably 60% effective against fleas outdoors in my opinion. It must be applied every 14 -21 days or until the fleas are no longer a problem. For control of difficult flea infestations outdoors, consider a professional quality insecticide used by the pros. Bifenthrin is very popular and is sold as Talstar and also as Bifen IT and Bifen XTS. These products can be used indoors and outdoors for fleas, whereas Triazicide is strictly an outdoor product. Hope this helps.